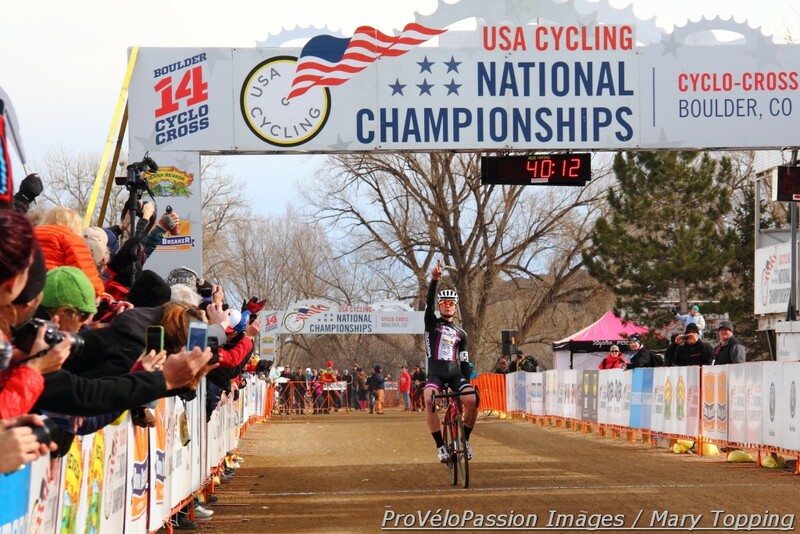 It’s hard to imagine American cyclocross without superstars Katie Compton and Jeremy Powers. But U.S. cycling fans need not worry. If either rider retires by five years from now, fans will still have a lot to cheer about. Perhaps even more so. By then the elite ranks will be packed with today’s 17 to 18 year-old juniors. 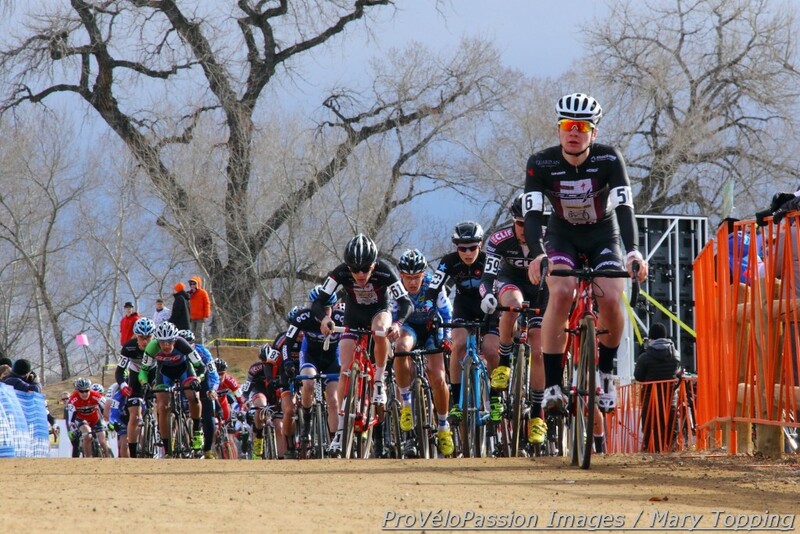 Together with the younger riders coming up behind them, the depth of this junior talent treasure trove promises an increased American presence on the future cyclocross scene. Cyclocross national championships in Boulder presented an opportunity yesterday to witness fifty-seven 17 to 18 men lean over their handlebars at the start line, speed into one of the fastest opening laps at the five day event, and then pour a season’s worth of preparation and hopes into 40 minutes of hard racing. 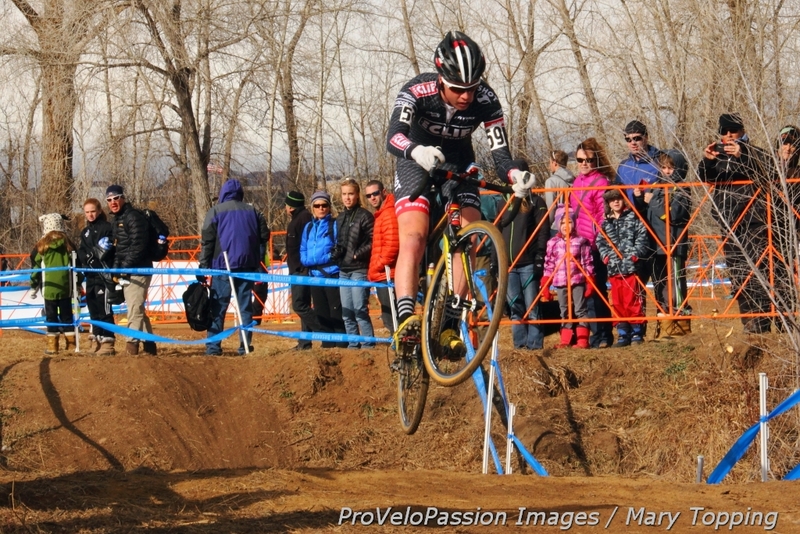 Peter Goguen (Race CF) from Massachusetts was fastest down the Valmont Bike Park start/finish straightaway. While others reached the first turn with mouths open and tense shoulders, Goguen appeared loose and at ease, as if he rode alone on a training ride. Nearly all of the chasers had recently returned from a stint in Belgium either with EuroCrossCamp or the Clif Bar clan. Austin Vincent (Race CF), Lance Haidet (Bear Devo Team), Cooper Willsey (Cannondale p/b Cyclocross World.com), Boo’s Brannan Fix, Grant Ellwood (Boulder Cycle Sport/Junior Cycling), and Ethan Reynolds (Hot Tubes) made up the early first group behind Chance. The second group included Clif Bar’s Garrett Gerchar, Nolan Brady (RAD Racing), Javier Colton (Bend Endurance Academy), Gavin Haley (Red Zone), and Ian McShane (Sophisticated Living p/b Bob’s Red Mill). In the initial laps Ellwood quickly moved up. Together with Vincent and Haidet they pursued Chance but wouldn’t catch him. Vincent defended third place to the finish. Reynolds surged into fourth while Haidet slid back for sixth. 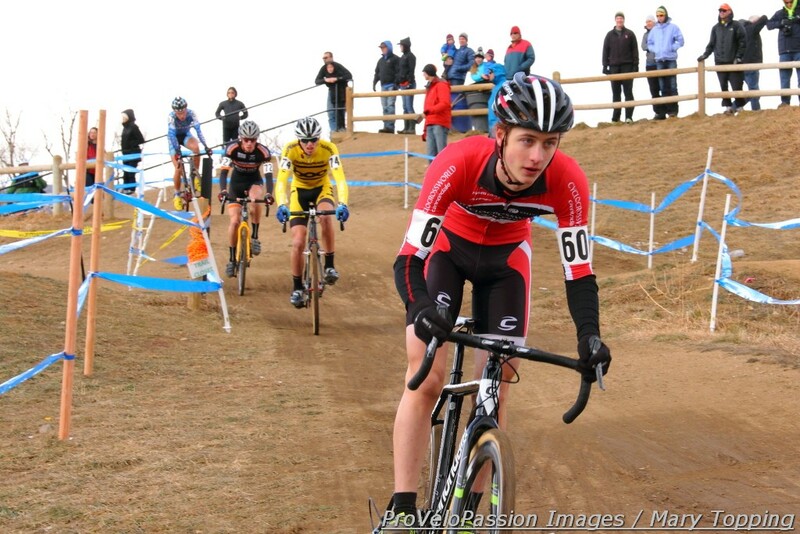 Ellwood rode consistently and finished fifth, a significant result for the mountain biker and alpine ski racer in his first cyclocross season. Willsey, who said at the finish that he found it hard to breathe and recover after a hard effort he put in during the third lap, got seventh. Brady, Gerchar, and Fix rounded out the top ten. Those results mattered a lot; they factor into USA Cycling’s selection of the five juniors who will take part in world championships. Goguen, Chance, Willsey, Vincent, and Haley made the selection. They’ll represent the U.S. faces of the future in Hoogerheide, Netherlands during the first two days of February. Listen to comments from Maxx Chance, Cooper Willsey, Grant Ellwood, and Liam and Cormac Dunn in this video.